Venice in morning sun seen from Giudecca. The Alps are visible on the horizon. Nocturnal panorama of Venice with from left to right the grand Canal, the Salute church, Saint Mark's square and basilica, the ducal palace and the Riva. One of the great avenues on Manhattan during rush hour. 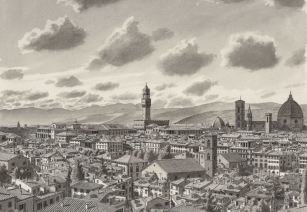 Florence skyline seen from the rose garden. 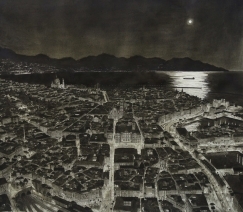 Imaginary city based on Genoa, Naples and Triest at Night. 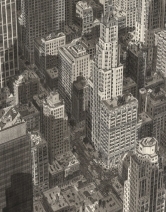 My first 180 degree perspective drawing of Manhattan. On the left Midtown Manhattan can be seen and on the right, all the way south Downtown can be seen as well. Panorama at night of the Caste District, the Danube and the gracious bridges linking old Buda with 19th century Pest on the opposite side of the river. 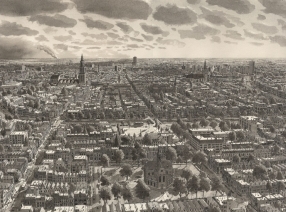 Commissioned drawing of Groningen seen from the north. One of my favourite drawings of 2017. 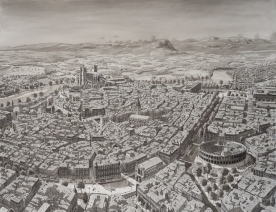 City in the Languedoc, an imaginary city in the south of France based on Montpellier, Nimes, Béziers and Narbonne. Imaginairy metropolis in Spain. Strongly based on Barcelona, Madrid en Valencia. 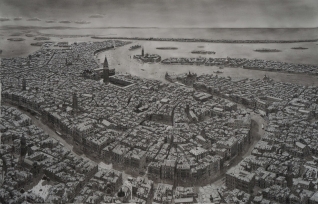 The grand Venice Panorama. It took me quite a while to do this drawing! 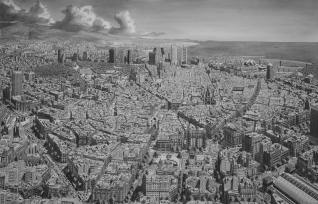 Imaginary metropolis with elements from New York, London and Paris. 5 months of grinding labour!